Yesterday, registered dietitian Michelle Dudash weighed in on getting kiddos to eat their veggies—even if it means sneaking them in—and how moms can easily get healthy meals on the table. 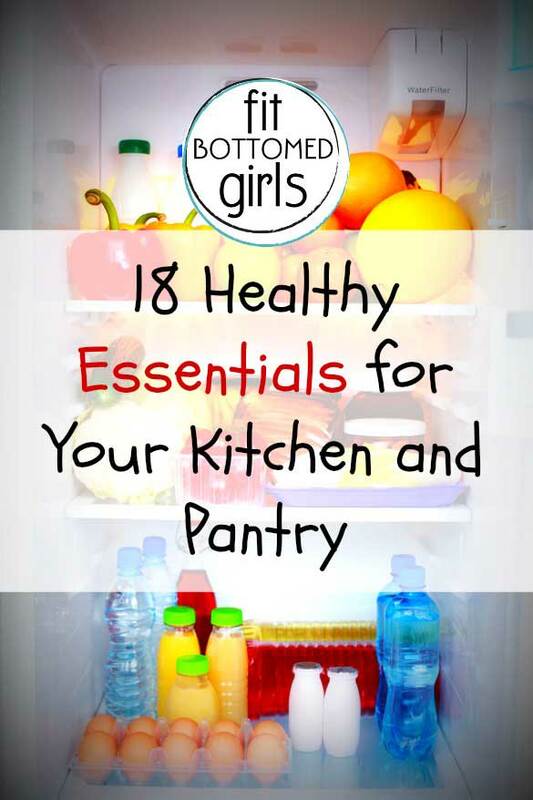 Today, she shares her must-have healthy items that every mom should have in the pantry or fridge. Michelle says she could go on forever with this list, but these are the items she keeps on hand for herself, a 2-year-old and a picky husband. Most of these items might already be on your grocery list, but you might find some fresh ideas! 1. Hummus. Flavored hummus for snacking. Roasted red pepper or garlic are faves in my house. 2. A variety of good cheeses. Shredded cheese for quick quesadillas and salads, cheese slices for sandwiches, and cheese snacks for on the go (a toddler with most of her teeth can also peel back like a banana and snack on independently). Look for reduced-sodium cheeses, like Sargento’s colby-jack snacks and provolone slices. 3. Plain and flavored Greek yogurt. Plain yogurt is a wonderfully creamy substitute for sour cream in recipes. 4. Eggs. Make up a batch of hard-boiled eggs for the week for breakfast in a snap. 5. Lemons and limes. Just a splash of the juice adds zest and depth to your dishes. 6. Washed bagged lettuce. Spend the extra money for the washed if you can’t get past the hurdle of washing and cutting it. At least it’s getting eaten. 7. Vinaigrette salad dressing. Look for one with fewer than 100 calories per serving. 8. Fresh onions and garlic. Crucial for cooking at home on the fly. 1. Whole-grain rice. Lately I’ve become addicted to the 90-second microwave rice pouches for when I forget to put the rice on the stove. But be sure to read the label and watch out for sodium. 2. Natural peanut butter. Then you know it’s free of partially hydrogenated oils (aka trans fat). 3. Olive and canola oils. Can’t live without it for cooking. 4. Whole-grain pasta. Always an easy go-to dish. 5. Good dark chocolate bar. Just a square can work wonders after a long day to boost mood and help you relax with heart-healthy antioxidants. 6. Canned green beans (or canned fill-in-the-blank). A canned vegetable at dinner is better than no vegetable at dinner if you didn’t get to go to the store. 7. Oats.Mix with fruit, honey, peanut butter or even chocolate chips to make this whole grain delicious. 8. Tea. Tea bags and bottled iced tea are good for keeping on hand during your moments of energy despair, instead of reaching for soda. 9. Marinara sauce. Be sure to check the label for sodium. Look for one with fewer than 400 milligrams per serving. 10. Nuts and seeds. Keep a few varieties on hand like almonds and pistachios for snacking and tossing into cereal and salads. Surprisingly I have all of those things except the chocolate (we made chocolate dipped strawberries for dessert last night). Frig – spinach, homemade salsa, egg whites (in a carton), raw milk, cucumber, carrots, peppers, green onion, cilantro, broc, cauliflower, ground turkey, chicken breasts, Cholula hot sauce, sunflower butter, tortillas (corn or whole wheat), white wine (for cooking of course) 😉 . Pantry – canned diced tomatoes, canned beans (black, kidney, refried, garbanzo), dried chilis, good cinnamon and vanilla extract (for oats), unsweetened cocoa powder (for oats as well), quinoa, stevia, whole wheat crackers (the kind with only a few ingredients, i.e. wheat, safflower oil, salt), canned pumpkin, protein powder, low-sodium chicken/veg broth, agave nectar, almond milk.